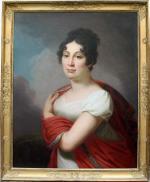 This classicist portrait of a lady in white dress and red shawl was executed ca. in 1800-1810. and although unsigned, is the typical work of famous Viennese portraitist and allegorical painter Johann Baptist Lampi the Elder (1751 Romeno, South Tyrol - 1830 Vienna).The attribution of the portrait to the hand of this glorious Austrian portraitist was confirmed by the recognized Italian expert and author of several monographs about artist Lampi senior Mr. Roberto Pancheri. The buyer of the painting will receive his written expertise in the case of the purchase of the painting. Lampi rcieved his first studies in Salzburg. After a short period in South Tirol, he settled in Italy, where he worked with the Lorenzi Brothers in Verona, joining the Veronese Academy in 1773. He travelled throughout Italy painting commissioned religious works and portraits for the members of the high aristocracy. Back in Austria in the early 1780´s-1790s he found access to the higher circles of society through noble protecteurs. He painted several portraits of austrian emperor Josef II, having joined the Academy of Arts in 1785, where he became professor for historical painting. In 1788 Lampi came to Warsaw where he portrayed the King and various high aristocrats. In 1790-1791 he was back in Vienna. On October 21st 1791, Lampi arrived to Potyomkin´s Headquarter in Jassy , in this time Russian Bessarabia, now- Romania) but soon went to St. Petersburg. In St. Petersburg Lampi the Elder immediately became a court artist. 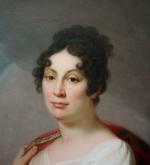 He stayed in the Russian capital six-years-long (in 1795 he was joined there by his eldest son Johann Baptist Lampi the Younger; 1775-1837). In 1798, after his return to Vienna (1797), he was ennobled by Emperor Franz I to Baron. 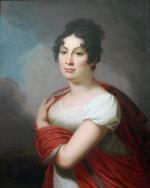 In 1799 Lampi received the title of an Honorary Citizen of Vienna.. Literature: Prof.H.Fuchs, Lexicon of Austrian artists, Vienna, 1975. Thieme/Becker "Lexicon of artists from antique to contemporary", Leipzig, 1999; R.Pancheri " Giovanni Battista Lampi alla corte di Caterina II di Russia", Società Studi Trentini, 2011. Provenance: auctionshouse Nagel, Stuttgart, sale on 13.10.2017. 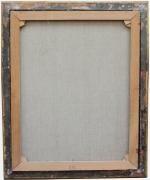 Condition: in very good condition, canvas was professionally relined.